The more channels retail customers use, the more they spend. These are the results of a recent study published in the Harvard Business Review, which found that customers who used four or more channels spent an average of 9 percent more than consumers who used only one channel. But businesses that already have an omnichannel marketing strategy in place know that being on multiple channels — also knows as multi-channel marketing — isn’t enough. Today’s customers want their experience to be consistent and relevant, whether they’re sizing up that new pair of running shoes on their smart phone, trying them on in the store, or speaking with a customer service representative about returning their purchase. Brands using omnichannel tactics strive to deliver a one-to-one experience to their customers, regardless of device or channel. Like many marketers, you may be wondering how to expand your own channel mix while keeping that consistent omnichannel marketing experience. As with any change in strategy, before you add a new channel to your marketing portfolio, you should first take a step back to look at the big picture. Review what your organization wants to accomplish, and how your marketing group is contributing to those goals. If you’re falling short in any areas, such as increasing revenue or conversions, think about how that new channel might help you reach those goals in the most efficient, valuable way. With a clear picture of business expectations, you can then begin to adjust your omnichannel strategy accordingly. Research shows that, although retailers use an average of four channels to interact with customers, 60 percent lack a unified view of their data. Yet, a single view of the customer is the centerpiece for delivering personalized, relevant messaging, and is invaluable for understanding which channels resonate best with your audience. Using data to inform your omnichannel strategy yields a long list of additional benefits, as the chart below from Aberdeen demonstrates. The chart shows that organizations combining omnichannel with data lowered their net-new customer acquisition costs by 3.1 times, and gained 2.1 times higher year-over-year increase in annual company revenue. These companies also saw improvements in return on marketing investments (ROMI), customer retention and engagement. In order to know whether or not expanding your cross-channel marketing efforts makes sense, it’s important to see how customers are currently interacting with your company. Review every touchpoint of the buyer journey to identify high and low points so you can determine where to best concentrate your omnichannel efforts. 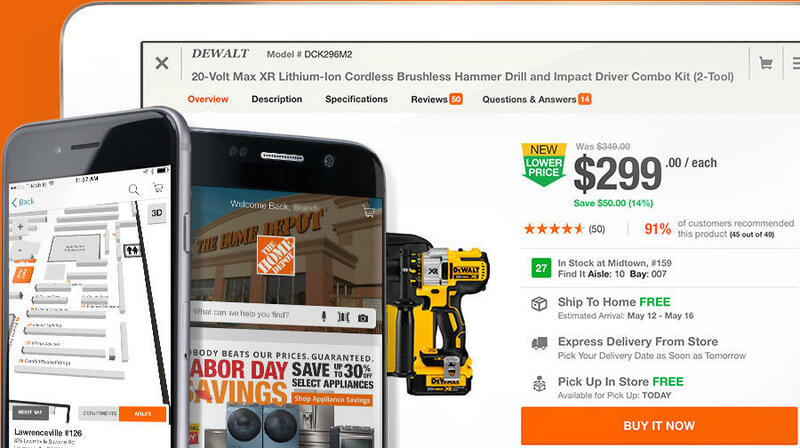 For Home Depot, this meant beefing up their e-commerce and mobile channel capabilities. In an interview with diginomica, Kevin Hofmann, president of online and CMO at Home Depot, discusses how their strategy of merging online and offline experiences stems from understanding customer behavior before, during and after the sale. In a Chain Store Age article, Ted Decker, executive VP of merchandising at Home Depot, noted that the home improvement company has also expanded their omnichannel distribution strategy by updating its website and mobile app, giving customers the choice to pick up their online purchase in store or have it shipped to them. “These changes have already yielded positive results, as we have seen improvements in overall site performance,” said Decker. There is no room for silos in omnichannel marketing. If you want to provide a seamless experience across channels, then every channel, and the people behind them need to work in tandem. Unfortunately, in many organizations, channels like social media, web, e-commerce and retail have their own goals and are managed by different groups. If you’re thinking about expanding your omnichannel strategy, you’ll need to start viewing your channel marketing efforts holistically. Take Amer Sports, for example. This sporting goods company, which owns brands like Wilson, Salomon and Louisville Slugger, shook up their go-to-market organization by bringing retail, ecommerce and wholesale under one umbrella in order to support their omnichannel strategy. As a result, the company is projected to open 25 new physical stores each year; have expanded their e-commerce presence to include more brands and countries; and have created more opportunities for online and community interaction within their stores. While not every company can undergo a restructuring such as this one, giving groups across the business access to a unified view of channel performance and customer behavior is a positive step toward alignment. There are different ways to measure the ROI of your channel marketing efforts, but what matters most to your CEO and CFO is how your channels are driving revenue. However, because the buyer journey involves so many different touchpoints, many times it’s difficult to determine a particular channel’s impact on revenue, making it even harder to predict whether adding a new channel is the best action to take. This is where multi-touch attribution comes in. For omnichannel marketers, being able to see which channels customers engage with before making a purchase is an important way to evaluate the effectiveness of your channels. Here’s how it works: As people consume content from your website, social media or email programs, clicks and other online behavioral data are recorded in a CRM or other multi-channel marketing platform. Reports allow you to dig into the data, giving you a better picture of which touchpoints contributed most to the eventual conversion. With banking customers engaging in transactions via phone, ATM, physical branch, web and mobile, omnichannel is an important concept in the financial industry. 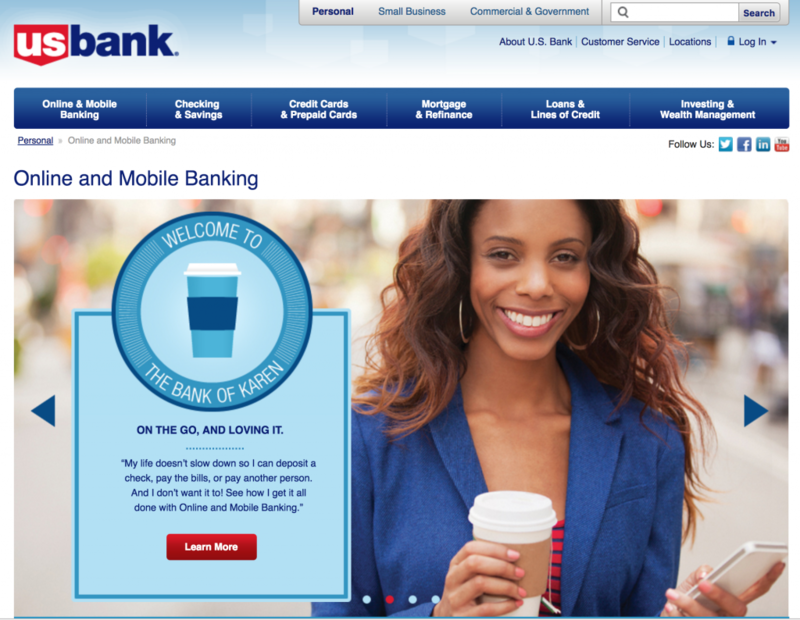 For U.S. Bank, which notes that more than 60 percent of its customers engage in some type of digital transaction, determining the most valuable content to deliver on those channels can be challenging. “In most companies now, content is essential, but being able to communicate the value of content is equally important to the investment,” said Troy Janisch, VP, Social Intelligence, U.S. Bank. Using TrackMaven as their omnichannel marketing platform, Janisch added that they can now predict how well a piece of content will perform based on past performance of similar content they or their competitors have published. This analysis, in turn, helps them understand the value they’re delivering with their individual channels. Gathering industry intelligence around the use of marketing channels in your own industry is a good way to see how your strategy compares with companies similar to yours. Take a look at our article covering the Most Effective Marketing Channels for Your B2C Business, where we name some specific industry sources you can turn to for channel performance data. If you want to dig even deeper, turn your investigation toward conversion rates for specific channels. Monetate’s recent Ecommerce Quarterly Report gives a breakdown of conversion rates of online consumers by device, as you can see in the chart below. With data like this in hand, you can better understand where you might tweak your omnichannel strategy, such as optimizing your smartphone content to increase conversions. While data around the customer journey and preferences should help you better understand which channels your customers frequent, keeping an eye on your competitors is a good way to uncover untapped opportunities. However, for busy marketers, manually monitoring channels to track competitors is an unlikely scenario. Omnichannel marketing platforms can help automate the process and provide you with a quick overview of competitive activity by channel in real time, so you can find out where your competitors are, and what they’re doing to reach your audience. You can also track how your performance compares to that of your competitors so you can determine where to best focus your marketing budget. 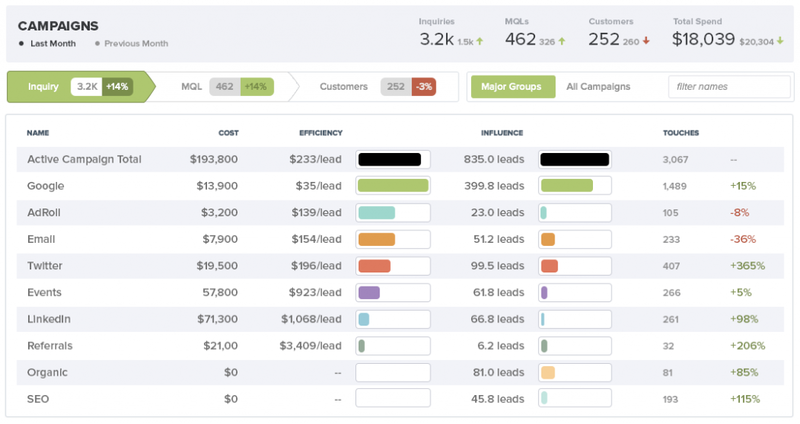 Take a look at the graphic below to for an example of competitive benchmarking in TrackMaven. One of the best ways to determine whether or not your new channel will be received well by your audience is to test it out. Check your analytics frequently so you can make adjustments in real time and quickly shift to the most successful tactics. Compare your performance across channels over time so you can identify trends, and focus market spend on the areas that provide the most value. Once you’ve gone through the process of evaluating the value of the channels you wish to add to your omnichannel strategy, it’s time to rank your channels and decide whether or not the addition makes the cut. One option to rank your channels is to use a tool evaluates criteria like engagement, conversions, and goals completed, and then uses pre-built report templates to help you determine which channels work best for you. 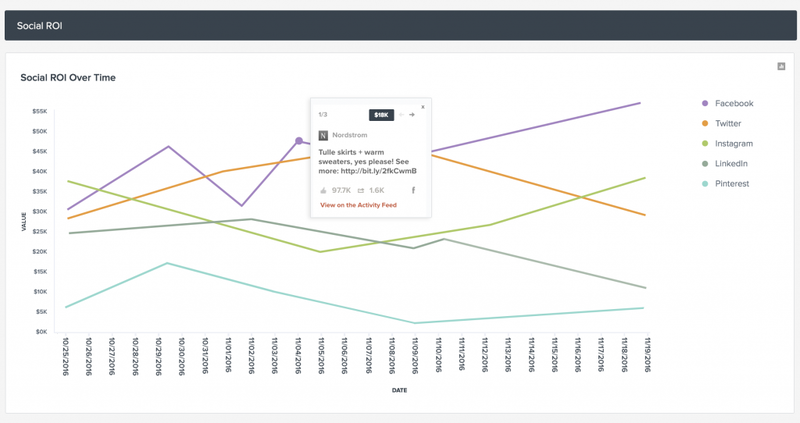 If you’re looking for a more flexible, faster way to compare costs, while pulling in real-time data, a marketing analytics tool like TrackMaven can help. Tools like this can also make sharing data easy by giving your stakeholders the ability to quickly access channel insights on their own.